Deep Underground Tech House’ delves into the deep and dark of underground House and Techno. Giving you, the producer, the all-important elements to construct your own underground monsters, the likes of which are being heard in warehouses and dark basements across the globe. 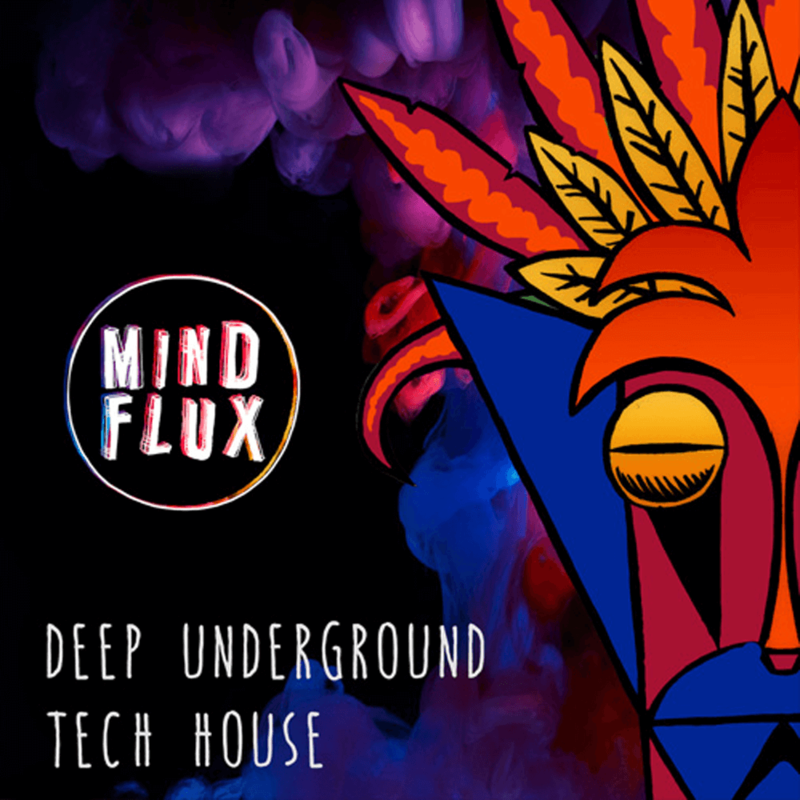 Weighing in at over 1GB, Mind Flux’s ‘Deep Underground Tech House’ provides a selection of mind altering audio loops, hits and midi parts carefully produced by our talented in house producers and processed through top end signal chain and offered in high quality 24-bit wav. Some of the kit used includes, Roland’s juno 6, sh101, 303, 808, 909 and 707, Moog’s minitaur and voyager, access virus, neve 8816, LA2A and many more. Inspired by labels such as Hotflush, Leftroom, Ovum, Desolat and many more. ‘Deep Underground Tech House’ provides the essential tools to drive your productions to the next level. From dubbed up synth stabs to deep rolling bass lines and heavy hitting drum grooves, ‘Deep Underground Tech House’ has it all. A huge array of sounds perfect for producers of House, Tech House, Minimal, Minimal Tech, Minimal Techno & Techno. 30 Bass Loops. Each bass loop is a deep driving, powerful, low-end force that will add the perfect amount of weight and power to your tracks. 406 Drum Hits. 51 snares / 81 perc hits / 38 rides / 50 kicks / 29 music hits / 42 found sounds / 56 hi-hats / 51 claps. A vast amount of one shots to construct your own grooves. 182 Drum Loops, that are infused with warm analogue hits and unique found sounds creating truly innovative loops. 20 FX Hits that are morphed and mashed up to create a perfect transition between sections. 25 FX Loops which can add a sinister and quirky edge to your productions. 25 synth loops. This will give you a huge amount of control allowing you to use your own synths. 33 Music Loops. Everything from deep stabs and smooth key loops, that are perfect for the after hours. 31 Synth Loops. Each loop is infused with a depth of warmth and mind bending nature that creates a truly unique loop. 6 Song starters. With pad loops, drum loops and bass loops that all work in perfect harmony this folder is perfect for getting a track starter right out the gate. 20 Texture Loops. These loops are perfect for layering under your tracks to give a mysterious atmosphere. 21 Vocal Loops, which are glitched out to the max producing a special array of loops that can add a real edge to your music.